The recent severe storms that impacted our region and interrupted power and services for days, provide yet another reminder to us that, in an increasingly interconnected world, companies like Comcast are playing a critical role in helping residents and local governments to recover from natural disasters. 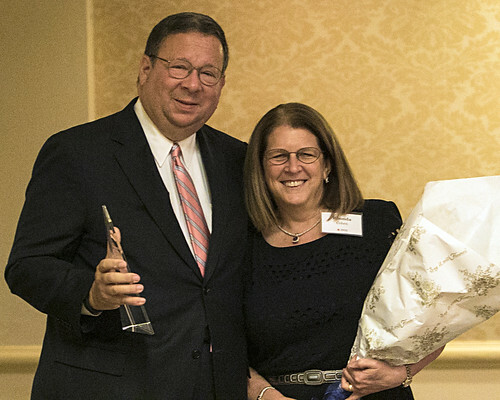 In recognition of the many ways that Comcast NBCUniversal stepped up and assisted millions of Pennsylvania and South Jersey residents in the aftermath of Hurricane Sandy, the American Red Cross’ Eastern Pennsylvania Region was proud to name Comcast NBCUniversal as our 2015 Citizen of the Year. Even before Hurricane Sandy made landfall along the East Coast, Comcast NBCUniversal’s news teams provided unprecedented, up-to-the-minute coverage of the storm, and Philadelphia’s own NBC10 held an informational telethon with the Red Cross to provide crucial disaster preparedness information to area residents. After Sandy struck, Comcast organized a telethon to support relief efforts in less than 36 hours. Attracting stars like Tina Fey, Bruce Springsteen, Jon Bon Jovi and Jimmy Fallon, Comcast raised more than $23 million for the American Red Cross during that event. But here on the ground, at some of the hardest hit areas of Pennsylvania and New Jersey, Comcast also stepped up in a quieter way. They provided free broadband and telephone service at temporary shelters; opened up thousands of XFINITY hotspots providing free Wi-Fi access so that disaster victims could communicate with family and friends and get additional recovery information; provided free power charging stations at customer service centers, so residents could remain connected through their devices; and powered local gas stations with generators so that emergency responders and residents could get fuel after it was in scarce supply. But perhaps most importantly, Comcast’s 1,300 field technicians mobilized along with first responders to protect and restore critical infrastructure. These ordinary heroes, working around the clock for days and often sleeping on air mattresses, came from as far away as Maine to ensure that our communications grid remained up and running for emergency responders and millions of Pennsylvania and New Jersey residents. One of these heroes was Pete Imler, a headend technician who cut short a vacation to help keep the Long Beach Island local Office of Emergency Management up and running. As Sandy was bearing down, Pete was sandbagging and safeguarding equipment until being evacuated when the island lost power. Pete was on a military truck the very next day to return to the facility where he stayed around the clock for the next ten days straight to help power the recovery effort. 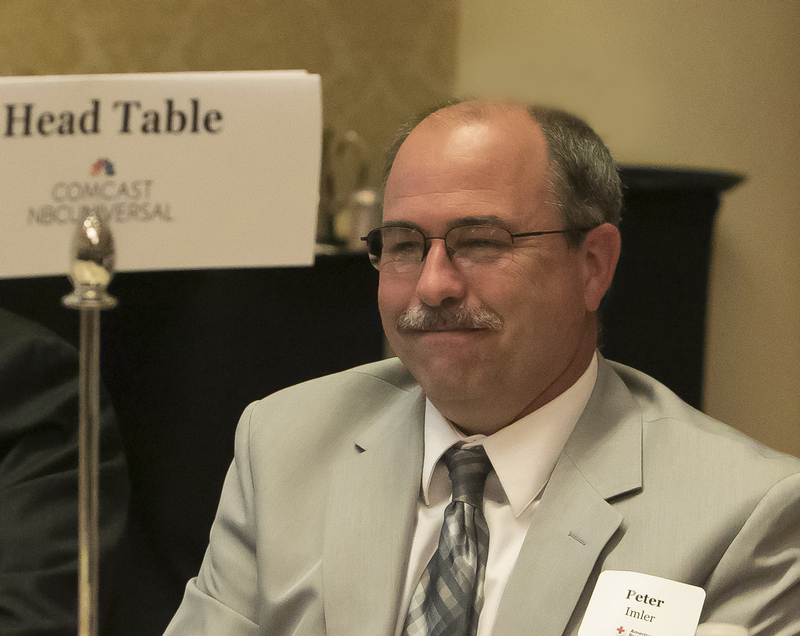 Pete’s story is one of many that demonstrate the lengths Comcast and its employees will go to ensure that Delaware Valley residents remain safe even during one of the worst natural disasters in recent memory. 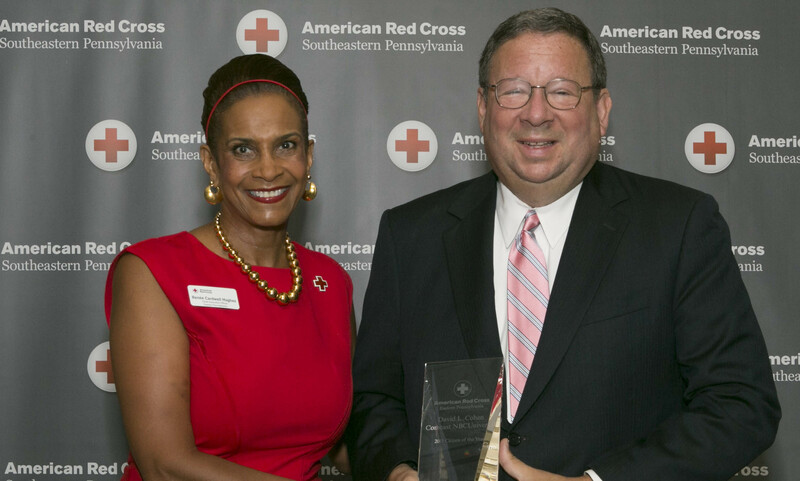 This commitment to service and the community is why we at the Red Cross are proud to call Comcast a partner and a friend and to honor the company as our Citizen of the Year in 2015. 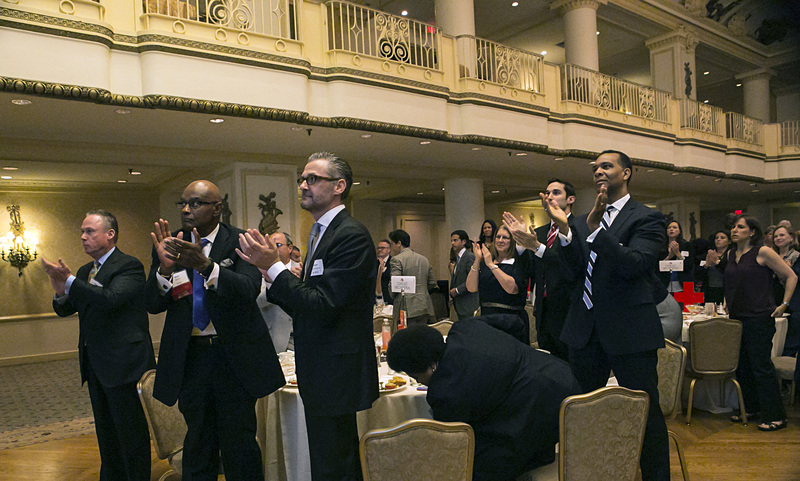 Check out pictures from the event by clicking on the link below!